Shere existed long before The Norman Invasion in 1066, and details of its significance were recorded in The Domesday Book around 1070. 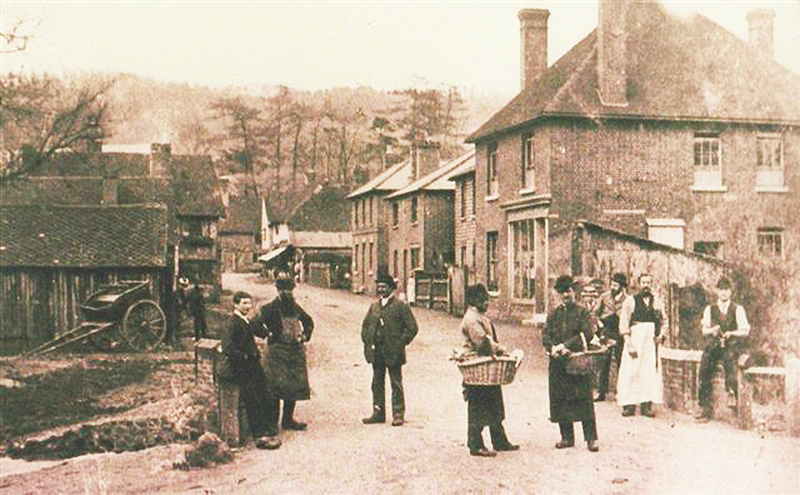 Situated on the Tillingbourne River the prosperity of the village was assured - originally sheep rearing - water power increasingly provided the means for development of a number of local industries including gun powder, leather tanning, paper making and water cress beds. Near the main routes from the ports of Shoreham and Portsmouth to London, smuggling too became big business in the area. It was said a barrel of rum from a night wreck on Shoreham beach would be in safe store under one of the local cottages by evening ! 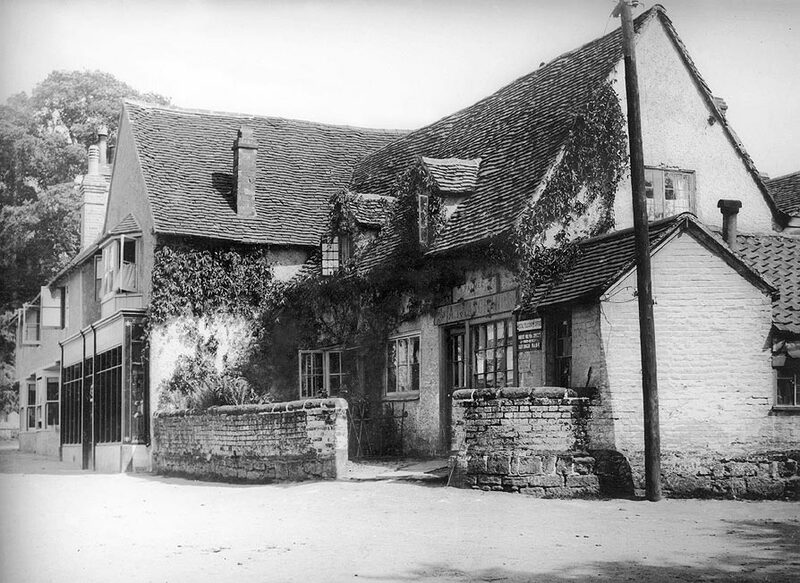 Vaughans was built in 1580 with extensions added over the centuries - neighbouring houses are even older by 100 years ! 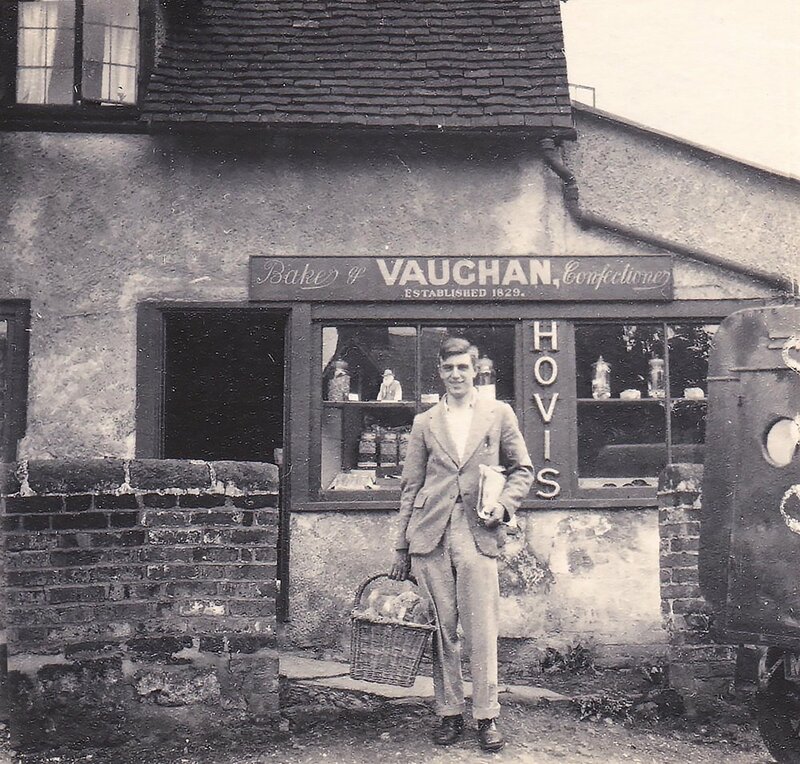 Originally two yeoman's cottages photos on this page show it variously as a place to hire horse drawn carts and latterly - since 1820 - as the village bakery from where it gained its name when it was 'Vaughans the Bakers' - there's a lovely photo of a local gentleman taken outside the shop in 1932 ! The cottages were made into one residence about 150 years ago and it still retains many original features including wattle and daub walls and ancient wooden beams.